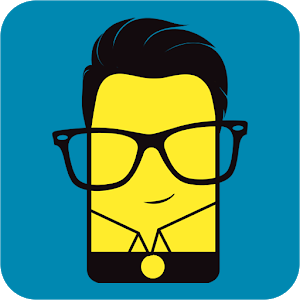 Mr Phone is the best mobile finder app to search for and discover mobile phones and tablets. Trusted by about a million people around the world. Amongst the Top 100 apps in 25 countries. Mr Phone is the best mobile finder app to search for and discover mobile phones and tablets. You can browse through our extensive content database of products and features. It is your digital smartphone encyclopedia, a phone and tablet finder that helps you search and find the latest and best mobile phone to suit your need. It also helps you in comparing phones & present the comparison data in an easy and fun way. We have used high quality images, product specifications and categorized brands like Apple, Nexus, Samsung, Motorola, Huawei, LG, Microsoft, Lenovo, HTC along with various other details. You can get updates about new phone launches & tech events related to mobile phones which are happening all across the world. Get details about phone from any generation from latest mobile phones to the ones launched previously. Mr Phone has been designed for every mobile phone user in the world. • Compare mobile phones: Just pick any mobile phone and compare it with any other. Now you can compare up to 3 phones at a time. Get comparative details around product specifications, images and prices and share it. • Smart Filter: Mr. Phone helps you to find the exact phone you need. Just use our ‘filter’ option to choose from 14 pre-define parameters from brands, operating system, screens size, battery, RAM & many more. • Buy Mobile phones: Mr. Phone helps you decide which smartphone to buy, and where to buy it from. Get the best deals & offers from various online shopping sites like Flipkart, Amazon, Snapdeal, eBay, PayTM, Shopclues, Ali Express, Best Buy etc. • Sell Mobile phones: Mr. Phone helps you connect with best phone selling sites such as Cashify that enables you to sell their old Smartphones & other Electronic gadgets instantly. • Stories: Every phone has a story & we share it. Find all the stories & news about your favorite phone on stories tab. • Tech Blogs from around the world: Mr. Phone brings you latest blog posts & articles from authors & bloggers around, also gives a chance to all who are interested in being a tech blogger by providing a platform to write blogs & build community. You can now have your own blog on Mr.Phone. We are continuously working on Mr Phone app features. If you want us to add any features or have feedback, please contact us at support.mrphone@u2opiamobile.com. We would await your valuable feedback.